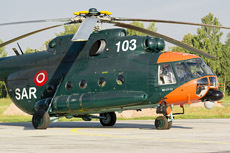 The Latvian Air Force is the aviation branch of the Latvian Defense forces. 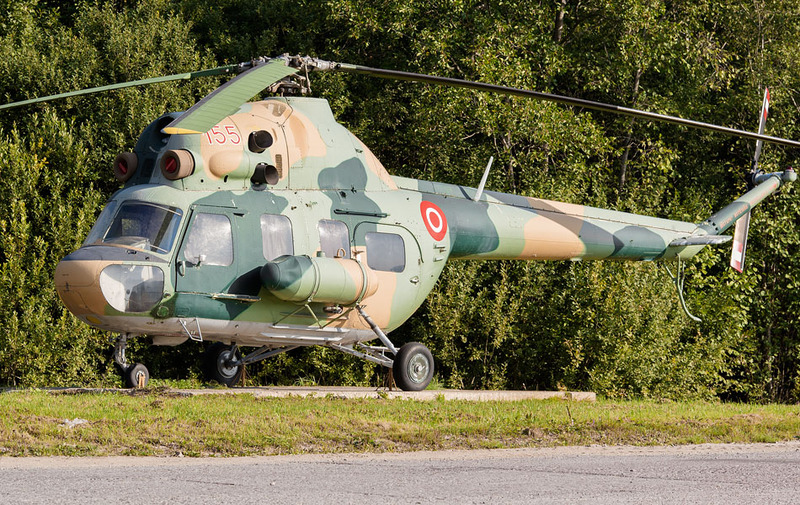 The first Latvian units were established in 1992 after the independence of the Soviet Union. However, the air force is not able to perform its own air defense; therefore, this is mission carried out by the NATO under the name Baltic Air Policing. 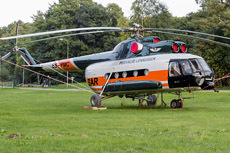 The Air Force of Latvia (Latvijas Gaisa Speki) was established long before the Soviet occupation during the Latvian War of Independence. On June 7, 1919, there was an air group formed under the leadership of Lieutenant Alfred Valleika. The first aircraft which entered service in the Latvian Air Force were of the type Bolshevik Nieuport 24bis and Sopwith 1.5 Strutter. The first aircraft became operational on August 5, 1919. The first bombing missions were conducted on August 26, 1919. 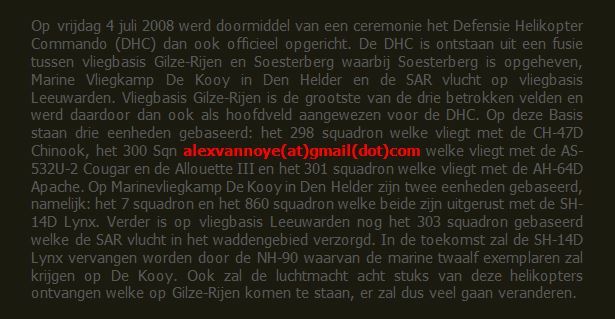 From Septem- ber the new Air Force had 3 aircraft which were used against the German and White Russian armies. During this campaign the air force captured 7 or 8 enemy planes. 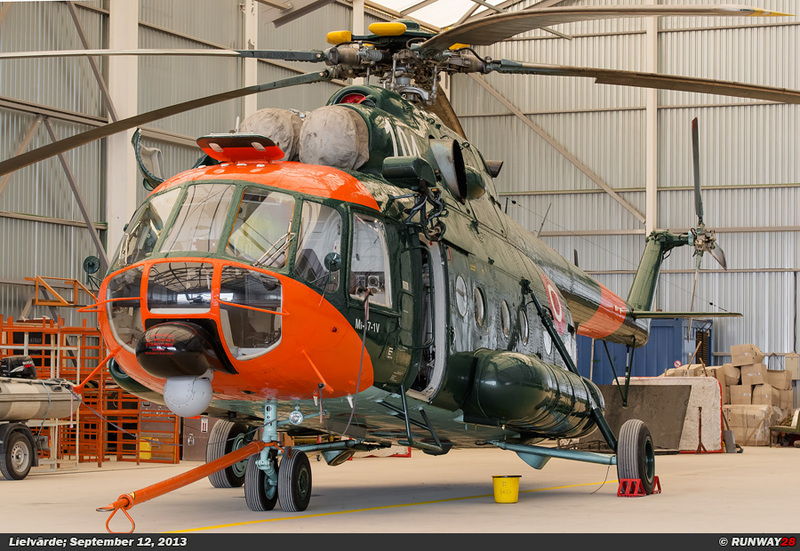 These aircraft were repaired and added to the Latvian Air Force. 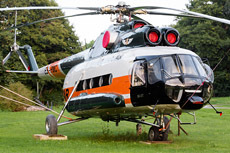 The Latvian Air Force flew 69 missions during the war of independence. 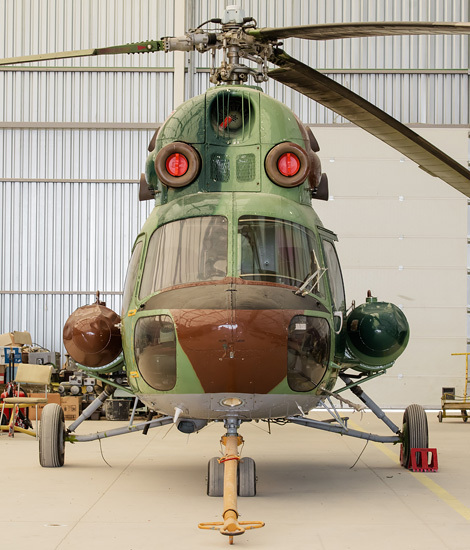 In the years which followed, the air force was expanded widely. Eventually, the Air Group was re-designated as the Aviation Regiment in 1926. The Aviation regiment consisted of 3 fighter squadrons in 1939 which were equipped with 24 Gloster Gladiators and 6 Bristol Bulldogs. 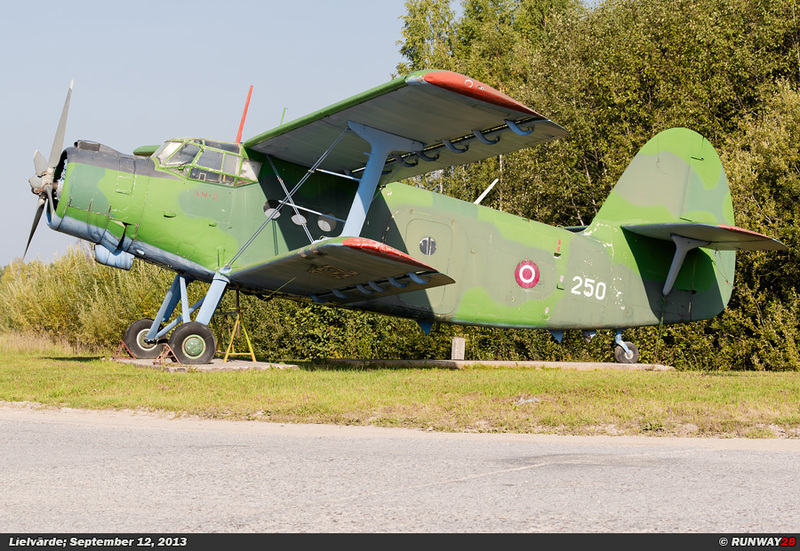 Also the Latvian Air Force founded 3 reconnaissance squadrons which were equipped with 12 Letov Š-16LSs, 2 Hawker Hinds and 10 Stampe SV.5s. The Aviation Regiment also had a maritime reconnaissance squadron which used 4 Fairey Seals and 2 other unknown aircraft types. 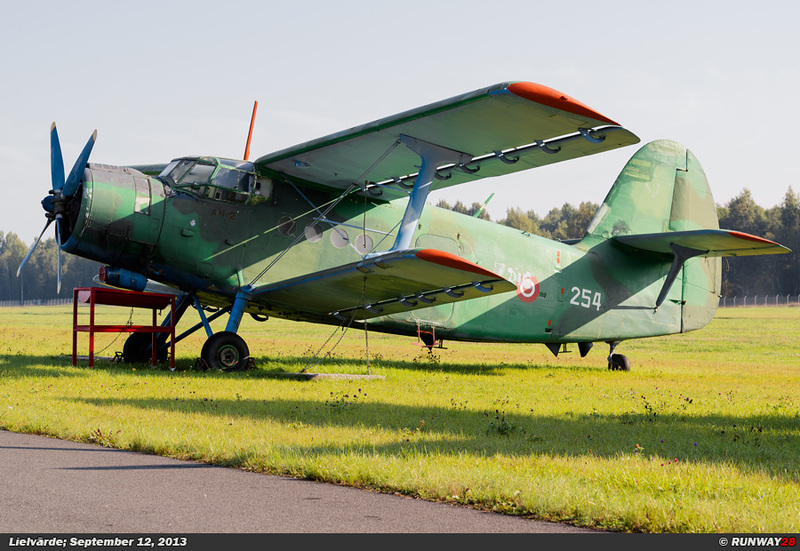 All activities of the Latvian Air Force ended in 1940 when the country was occupied by the Soviet Union. 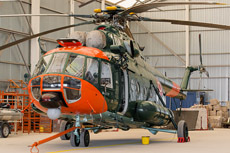 The Latvian Air Force was re-established when Latvia became Independent again after the fall of the Soviet Union on February 24, 1992. 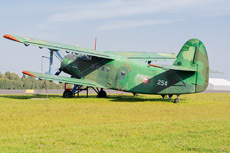 The first airfield which was used again by the Latvian Air Force was Spilve Riga, where a number of An-2 aircraft and Mi-2 helicopters were based. 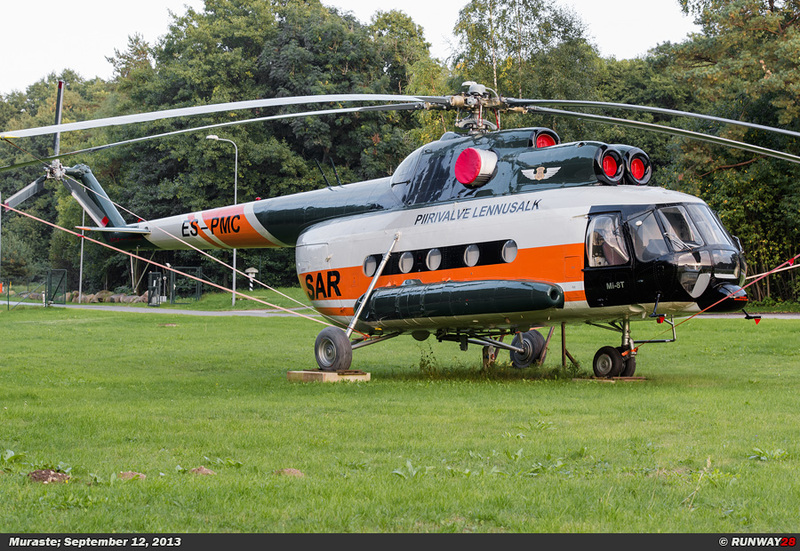 Riga-Spilve was initially an excellent base, because the infrastructure was still intact. 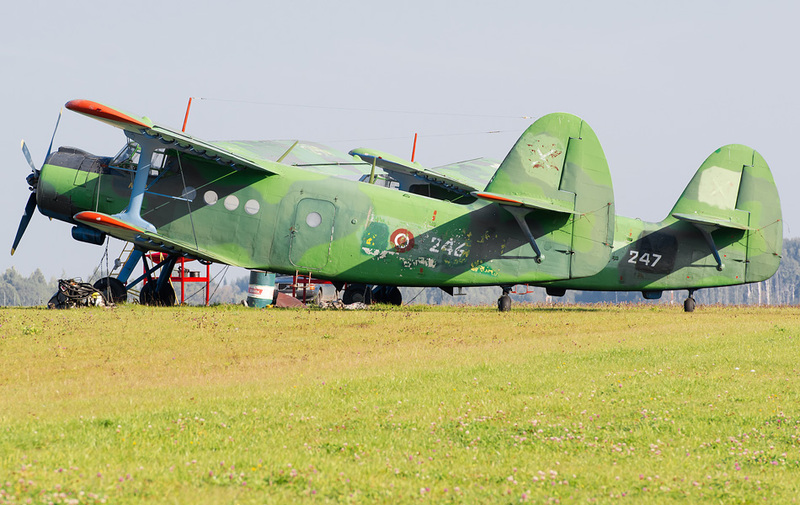 In 1994, the Latvians took over the former Soviet airbase Lielvarde as a second airfield of the Latvian Air Force. 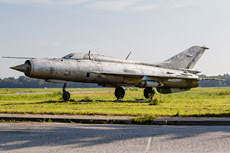 Lielvarde was in the days of the Soviet Union, the home base of the MiG-27 "Flogger" Fleet of the Russian 899 IBAP. 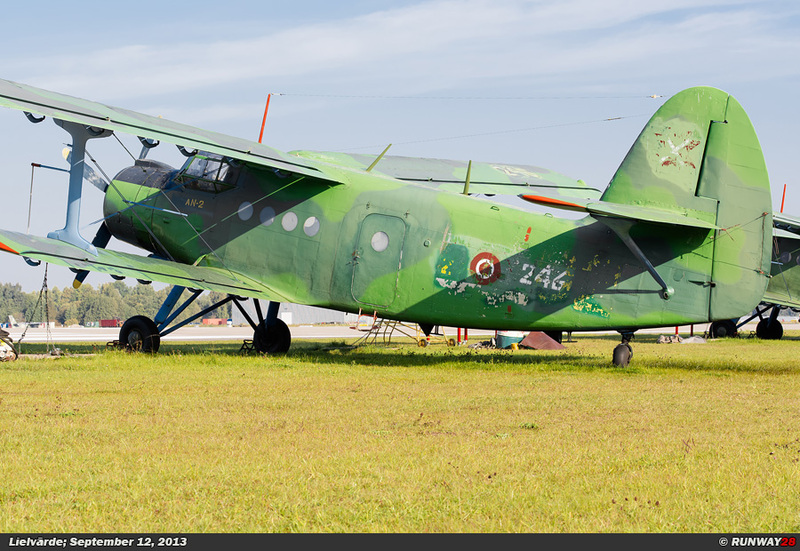 More than 22 An-2s were quickly purchased and 10 of these aircraft went to the National Guard and another 10 aircraft were sold quickly. 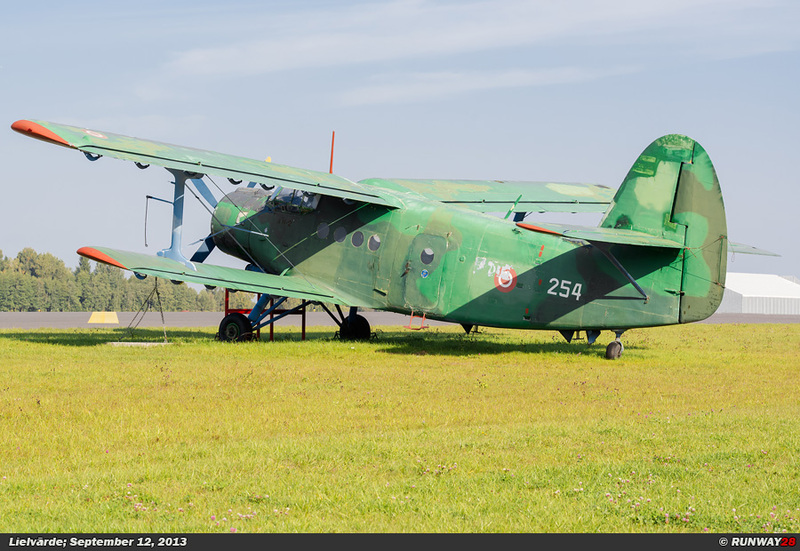 The 2 aircraft which remained in service were mostly used for para droppings of the Latvian Special Forces and several reconnaissance units. 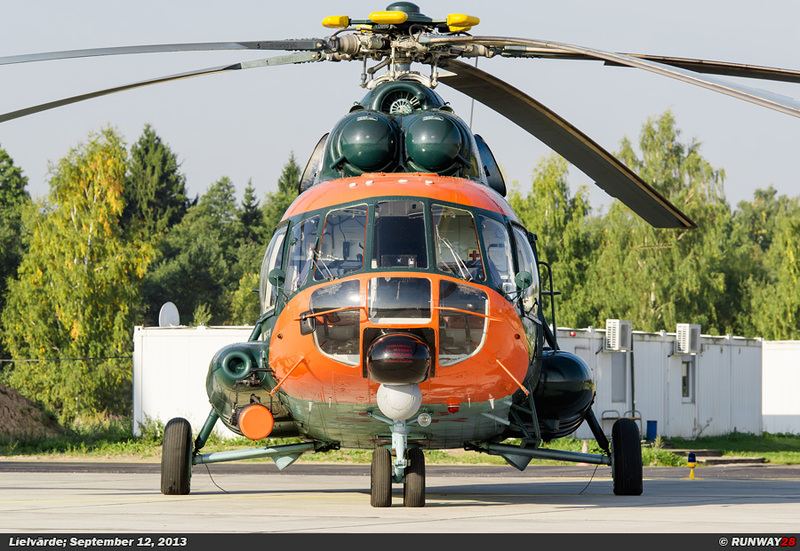 A total of eight Mi-2 "Hoplite" helicopters were purchased which would be used for SAR duties and pilot training. 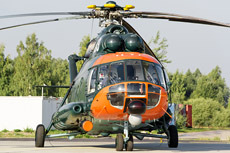 Nowadays, all Mi-2s are withdrawn from use. 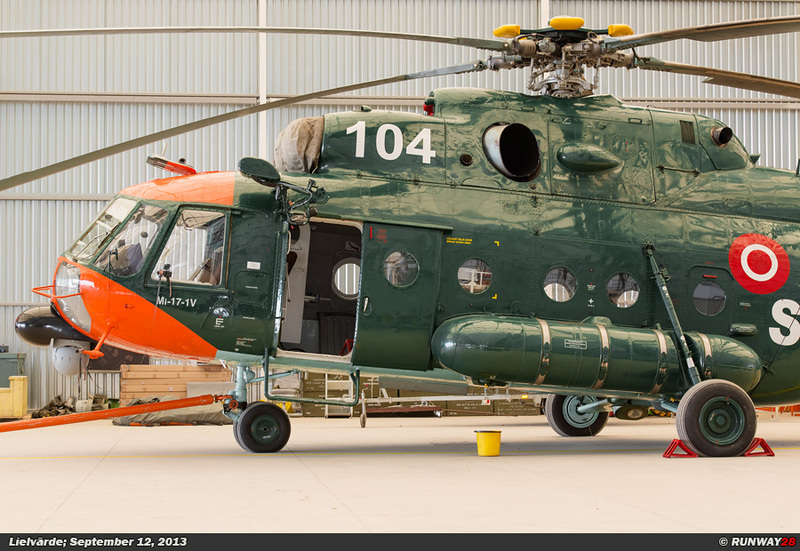 There are still 2 helicopters present in the main hangar at Lielvarde; these helicopters are officially stored. 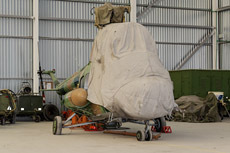 Of the 2 helicopters which are in storage one is wrapped in covers, the other helicopter in the hangar is quite complete. 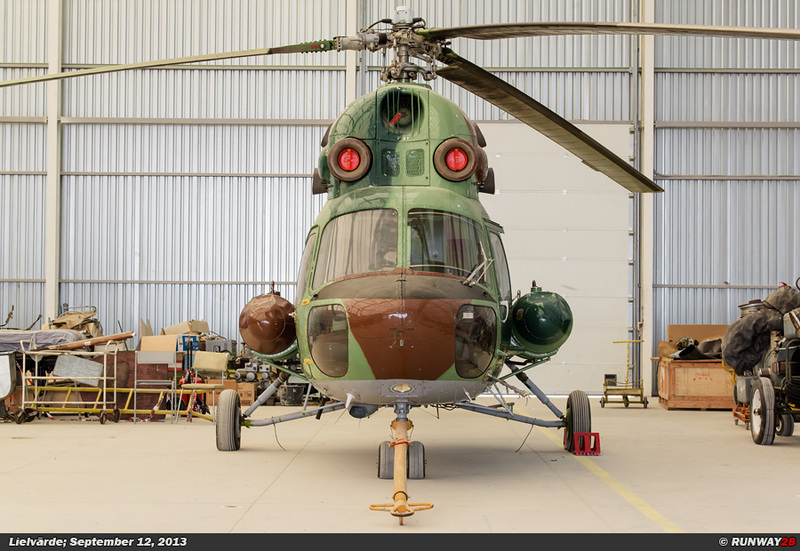 Both helicopters are in the back of the hangar. 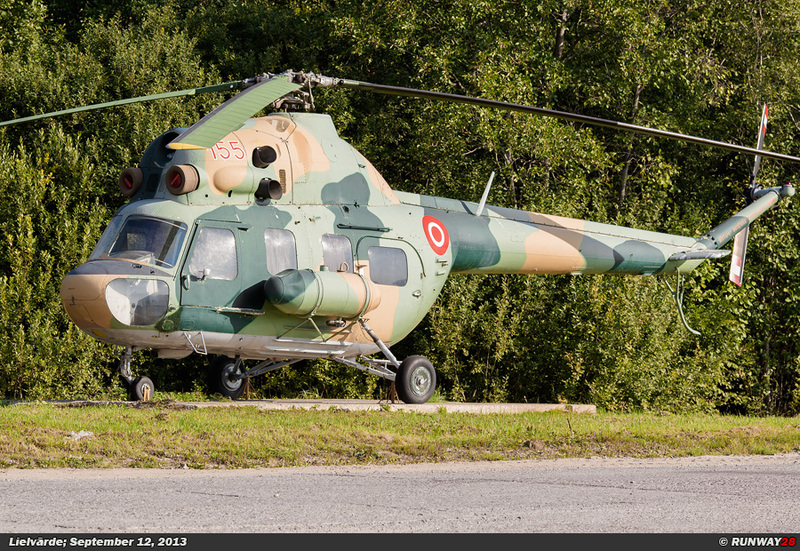 One of the Mi-2s is positioned as a gate guard at the main gate of Lielvarde airbase. 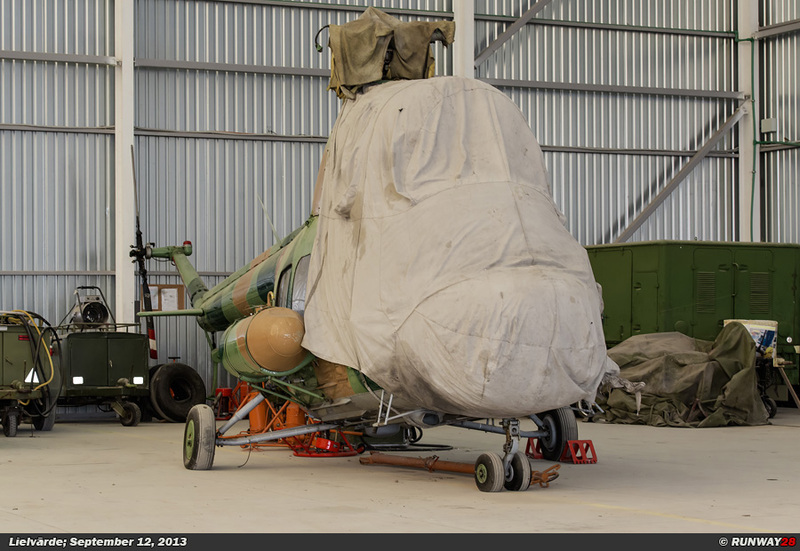 The 2 other Mi-2s are located on the west side of the airfield on a dump compound. 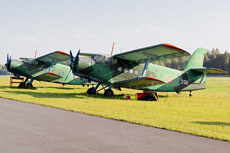 The current An-2 fleet consists of 4 planes which are parked on the southeast side of the runway. 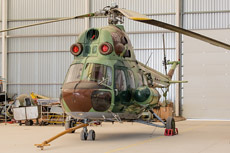 The exact number of aircraft which are still operational is not known. 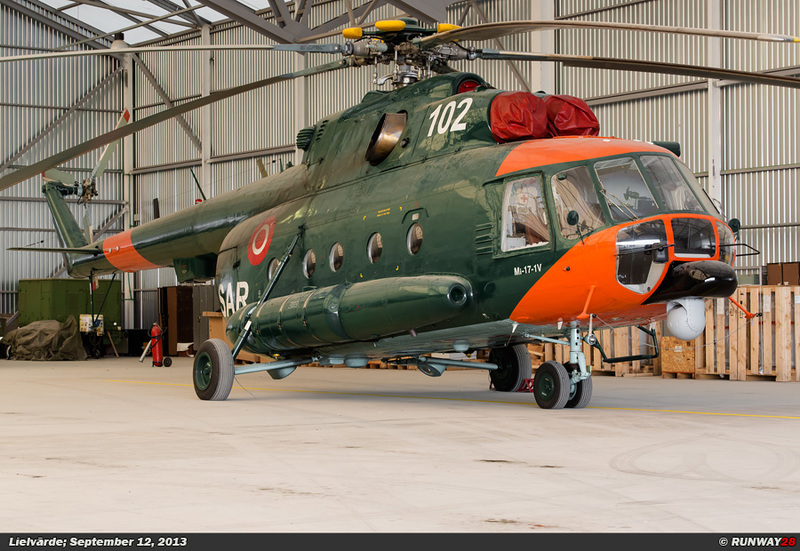 Probably 2 of the aircraft are operational, because the other 2 look very bad. 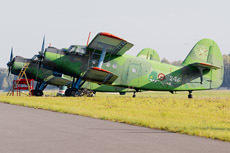 The aircraft are parked in 2 groups of 2 aircraft. The aircraft are all of type An-2R. 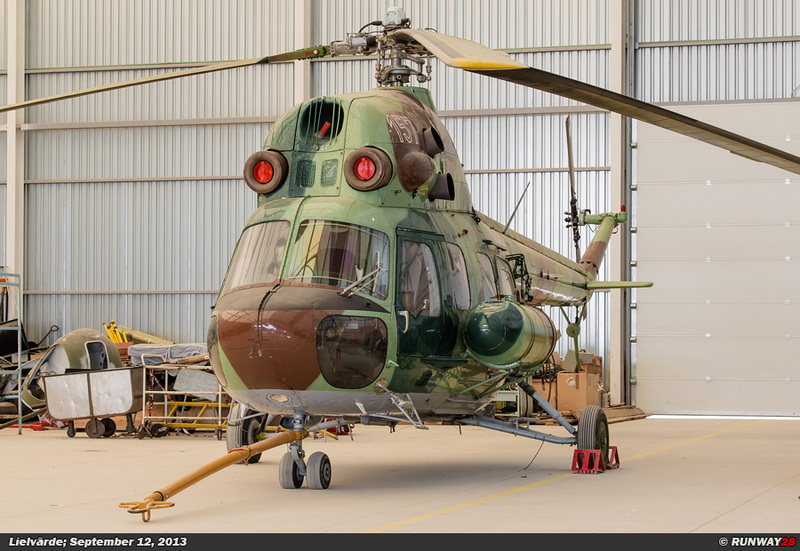 The aircraft look very bad, because the paint of the green camouflage pattern is almost gone from the aircraft. The aircraft are probably painted for the last time at least 10 years ago. A fifth An-2 is located next to the 4 planes and is completely cut in parts. 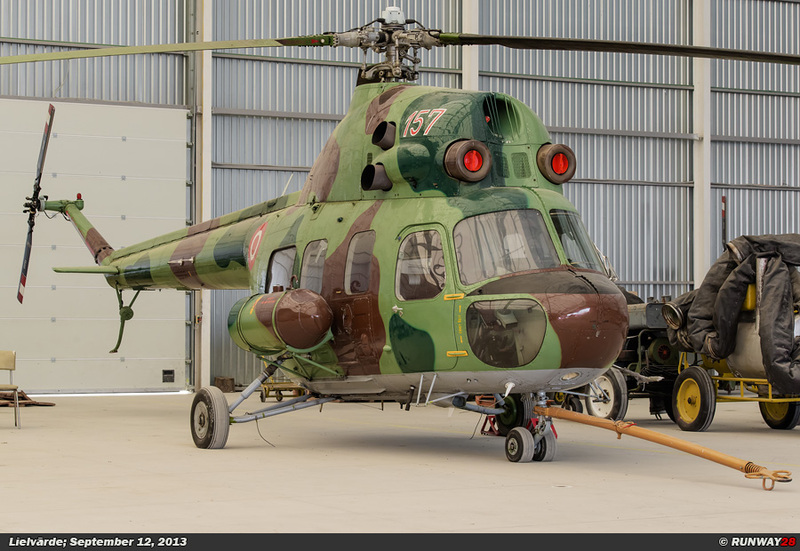 It is very clear this aircraft is no longer in storage. 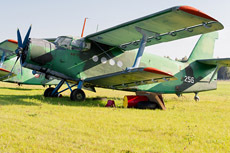 The wings of the plane are removed and stand next to the aircraft on the ground against the fuselage. 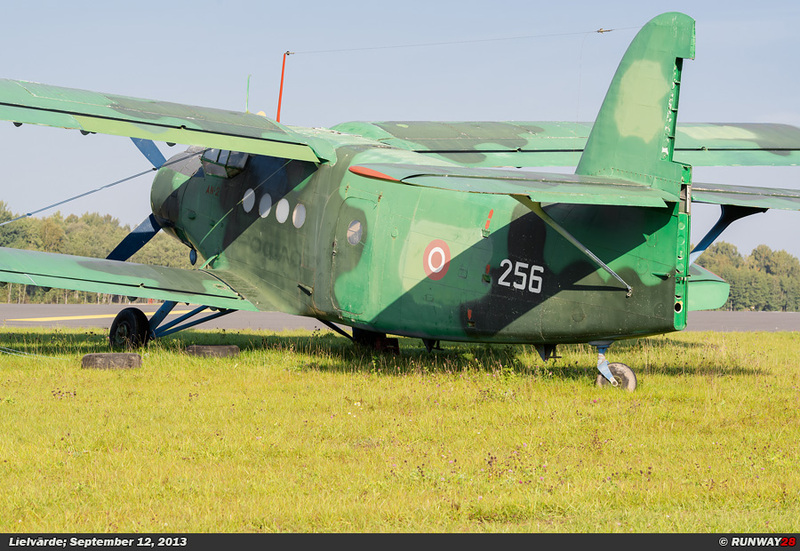 Also, the motor of the An-2 has been removed. 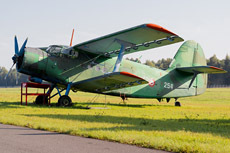 The sixth An-2 which is present at Lielvarde is at the main gate of the airfield and stands next to the Mi-2. 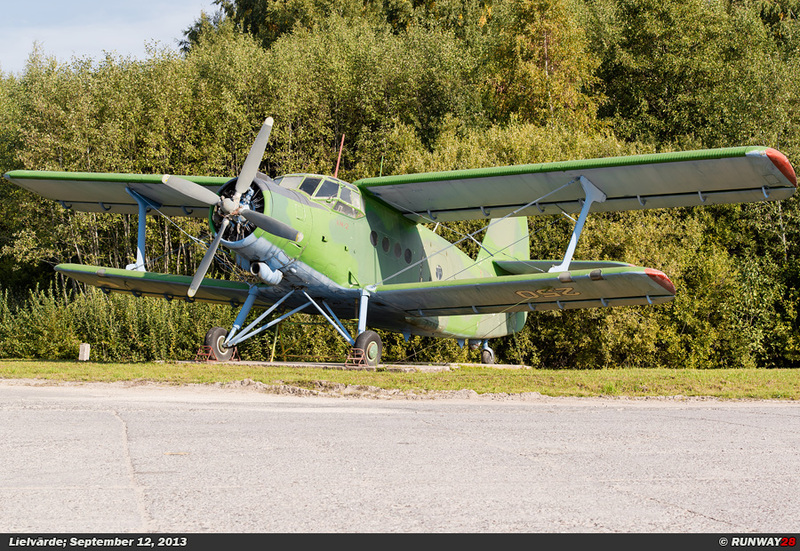 The An-2 is well preserved and is located at the corner of the road which enters the base. 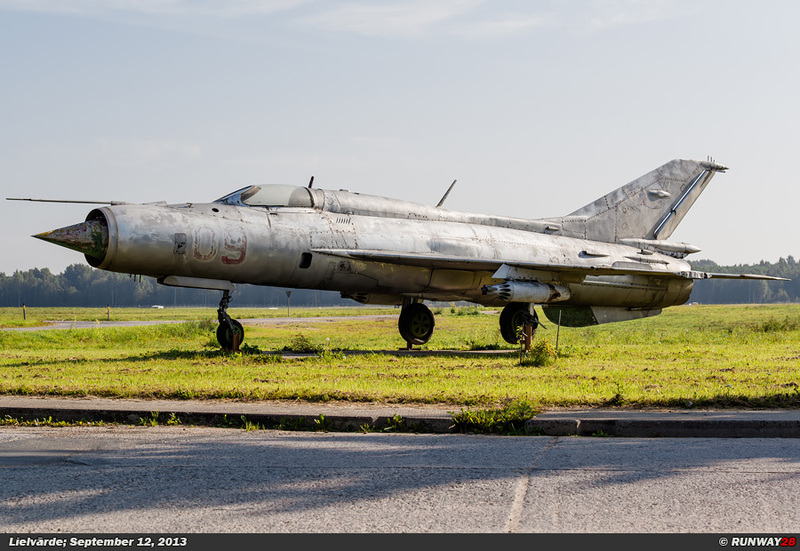 Besides these gate guards, also a Russian MiG-21PFM is preserved at this location. 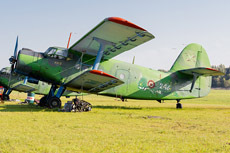 The operational An-2s are mainly used for the dropping of paratroopers. 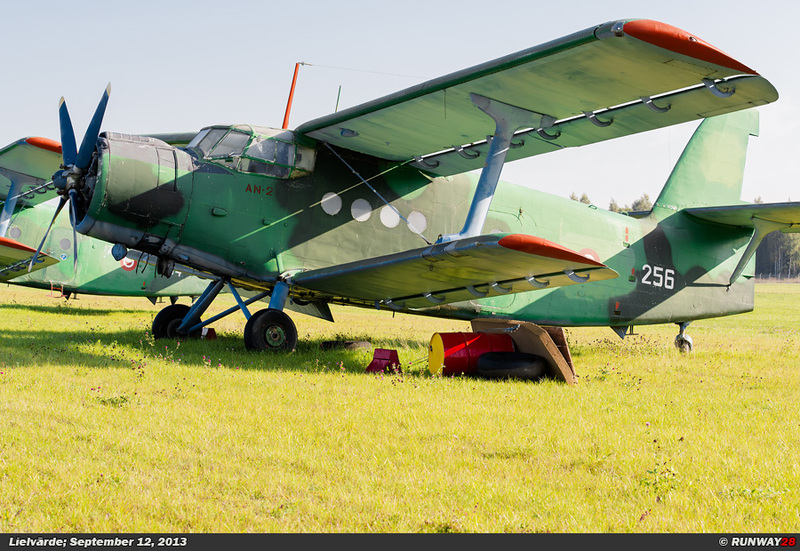 The special forces of the Latvian army come regularly to Lielvarde to jump from this An-2s. These droppings are usually carried out on the eastern side of the airfield. 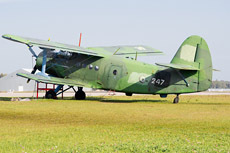 In the summer of 1993 two former East German Air Force Let-410UVP Turbolet light transport aircraft were purchased by the Latvian Air Force. 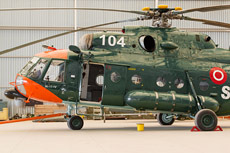 The aircraft were donated by the German government. 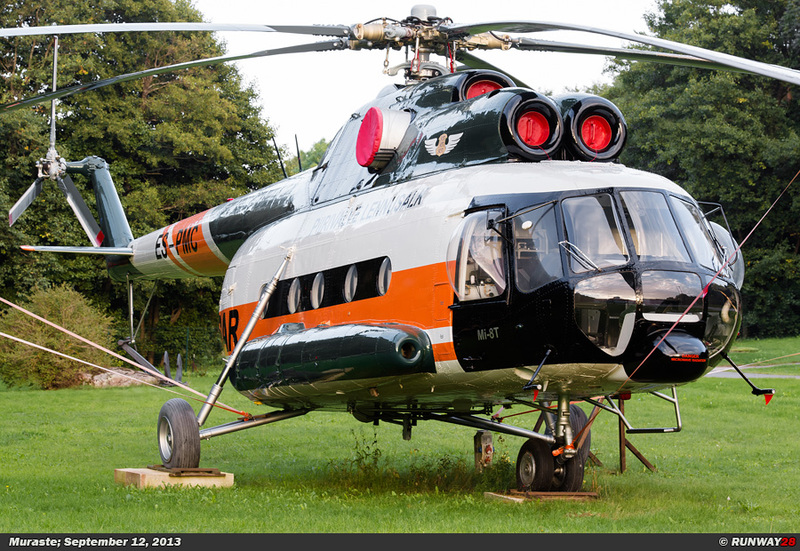 One of the Latvian Air Force Let-410s crashed in a tragic accident on June 7, 1995. 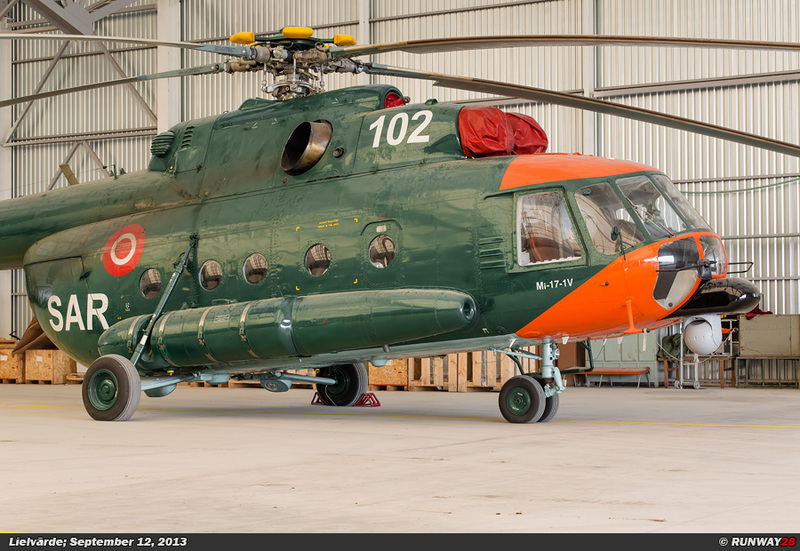 The main aircraft which are still in service of the Latvian Air Force are 4 Mil Mi-17-1V "Hip" helicopters. In 2000, the first 2 Mi-17s were purchased. 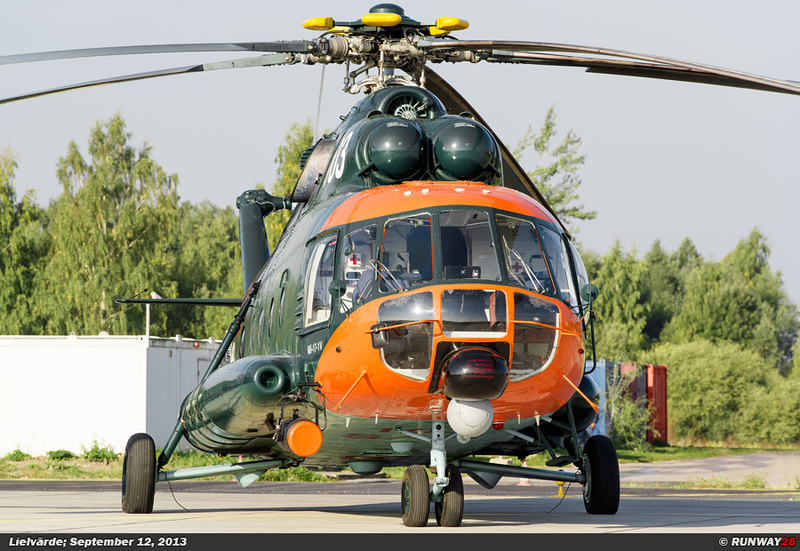 These helicopters took the main tasks of the existing Mi-2 fleet over. 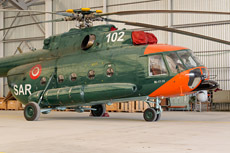 In 2004, 2 more Mi-17 helicopters were purchased by the Latvian Air Force. 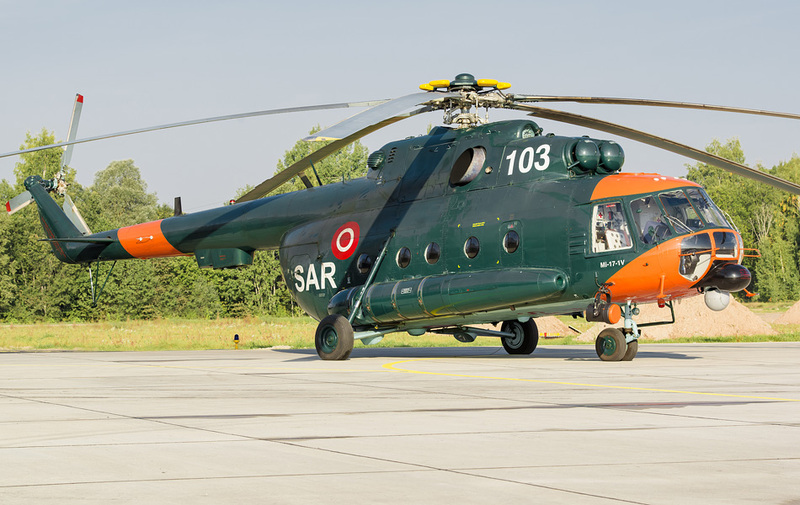 From that moment, the Mi-17 took over the SAR task completely from the Mi-2 helicopters. 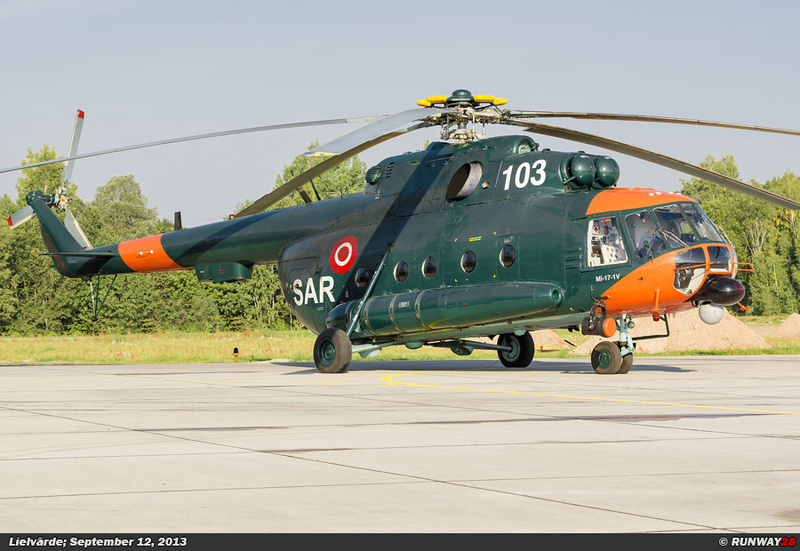 In addition to the SAR mission, the helicopters are also used for various other military tasks, such as troop transport, medevac and support for the Special Forces. 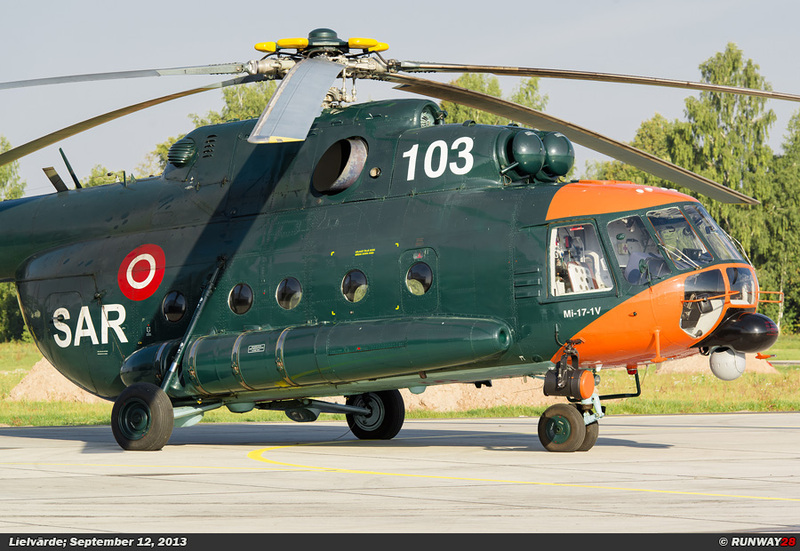 One of the Mi-17s is continuous standby at Riga Skulte. A modern hangar was built on Lielvarde especially for the Mi-17 fleet. 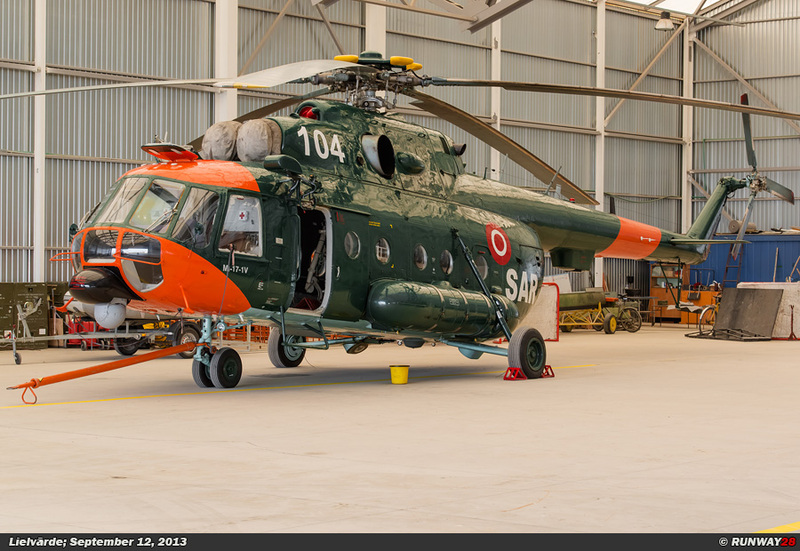 Also the platform next to the hangar is recently been completely renovated. 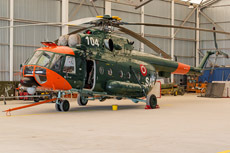 The current squadron building consists of a number of containers which stand next to this hangar. 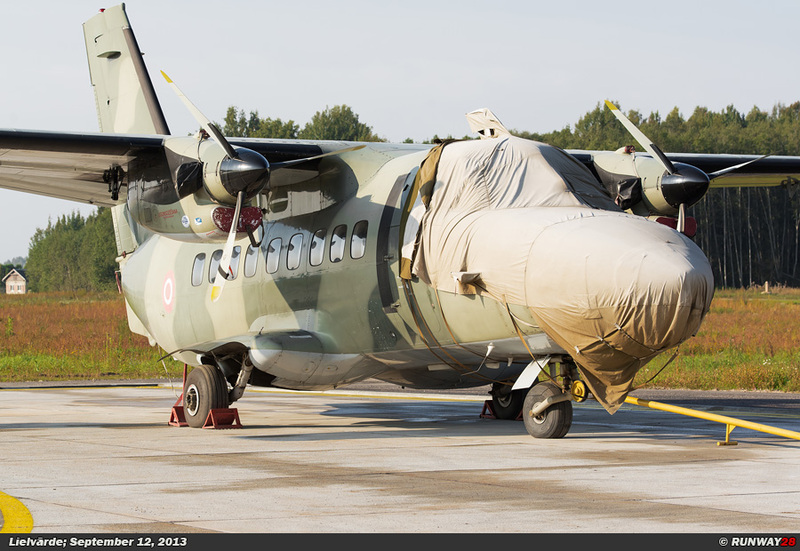 In addition to the Latvian Air Force, the country had in the period from 1991 until 2000 also a National Guard. The task of this branch was the national security of the country. 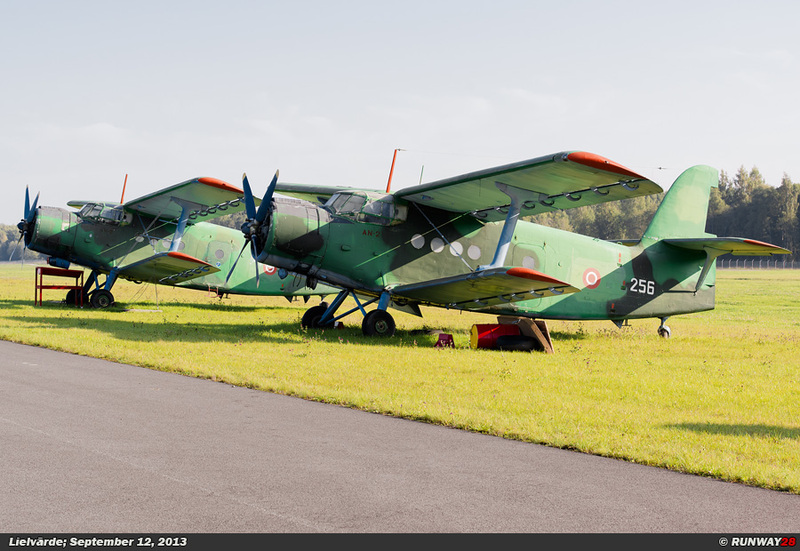 The National Guard had 4 PZL-104 Wilga’s, 12 An-2s and 38 Blanik L-13 aircraft in service. These aircraft were distributed among 6 airfields in Latvia. 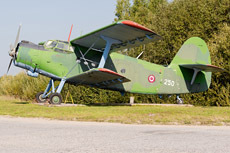 After the National Guard became integrated with the Air Force in 2000, the Blanik gliders were distributed among various aero clubs in the country. 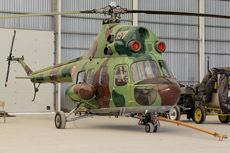 Eventually also the Wilga was withdrawn from service and placed in storage. 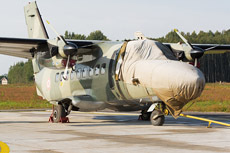 The Air Force of Latvia is very small and is due to lack of money unable to defend their own airspace; their airspace is monitored by the NATO Baltic Air Policing mission in Lithuania.